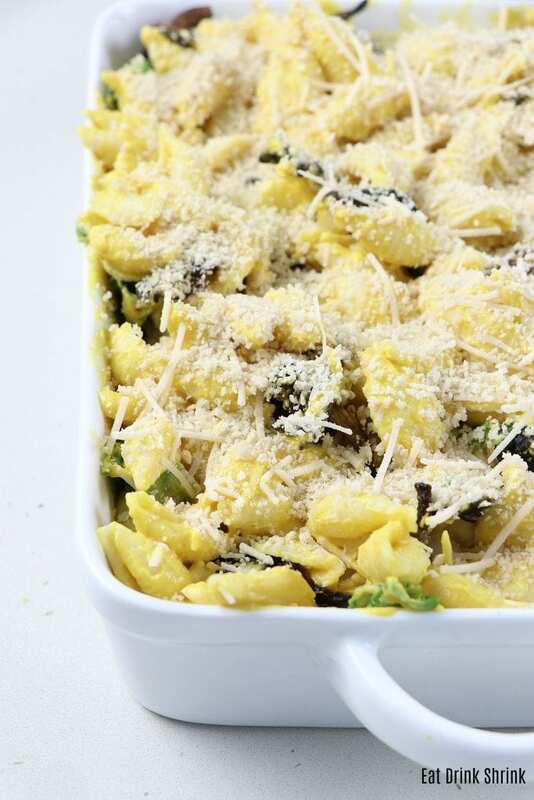 Vegan Butternut Squash Mac + Cheese Casserole - Eat. Drink. Shrink. 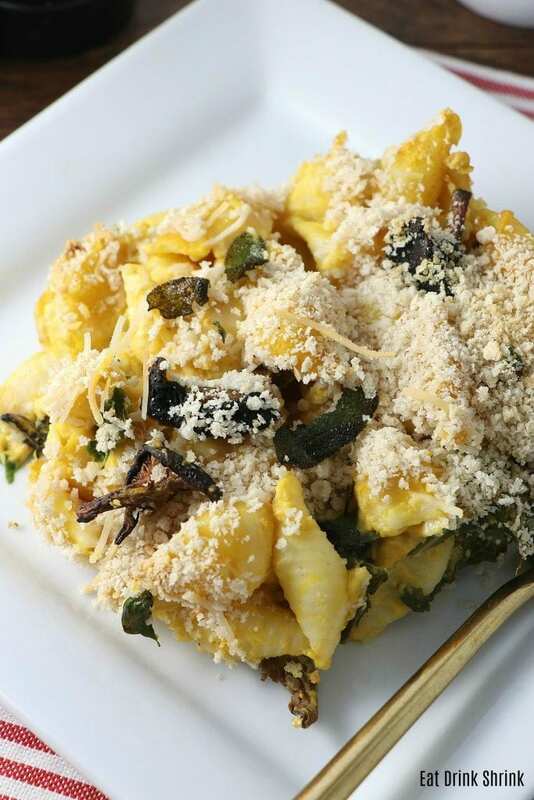 If there is one veggie besides brussles that I crave come the holidays, it’s butternut squash! While you can simply roast and enjoy, it also makes for an amazing sauce that can be easily thrown together. With Thanksgiving in a few days I thought I would share one of my favorite recipes for Butternut Squash Casserole! 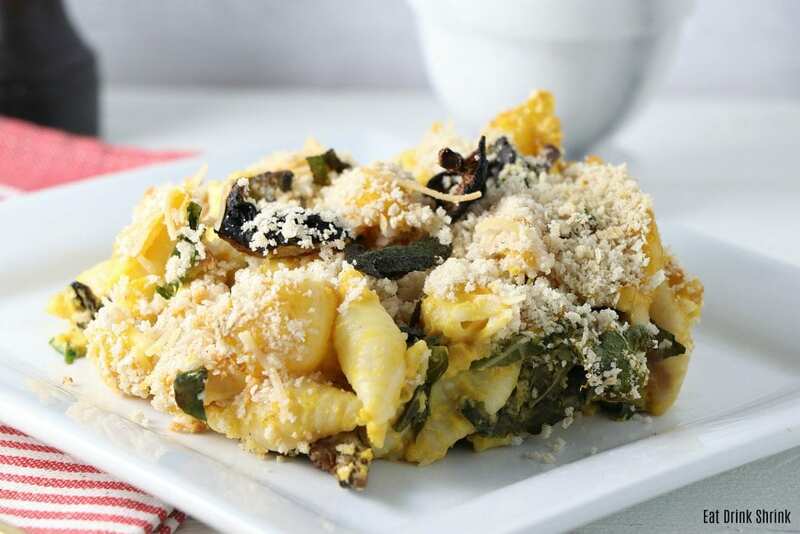 What I love about this dish is that although it’s pasta, it’s packed to the max with butternut squash, cashews, kale, shiitake bacon, has multiple textures with the crispy top, and notes of rosemary and sage infused into the sauce. It’s easy, affordable, comprised of basic ingredients, can easily be made in bulk, great for entertaining, and all the flavor resonate with the holidays! 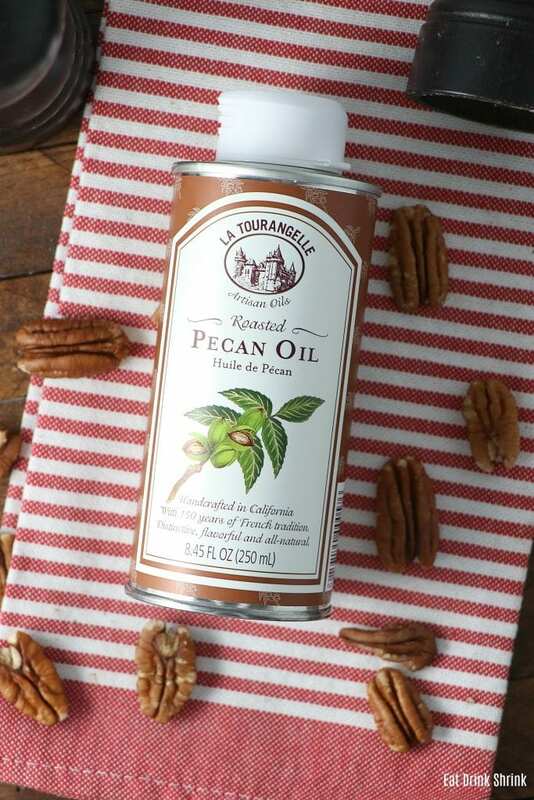 What I also love about this dish, is it’s paired with La Tourangelle pecan oil! I’ve been a huge supporter of this company since I discovered them countless years ago. They offer a myriad of luxury unique cooking oils that will complement any dish! Purchase their Fall/Winter Trio gift set here. 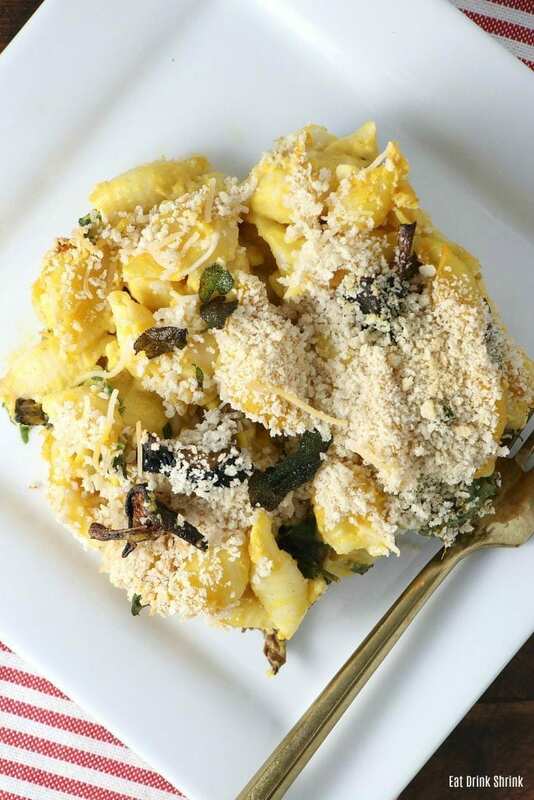 If you love seasonal dishes that will take your everyday holiday spread to a fab one, you need this recipe for vegan Butternut Squash Mac + Cheese Casserole!! In pan over medium heat add the Oil and vegan butter, let sizzle. Now add add the fresh rosemary and sage, Cook for 2-3 minutes until slightly browned. Remove herbs and save the crispy sage! Add the garlic, cook til translucent. Now add the chopped onion and cook until slightly browned. (4-5 minutes). Add the roasted butternut squash, nutmeg, and red pepper. Season with salt and pepper as desired. Add the flour and cook while stirring for 3 minutes. Add the almond milk continue to stir, and remove from heat. Add the butternut squash mix, soaked cashews, nutritional yeast, vegan parm, additional almond milk, and blend until smooth. 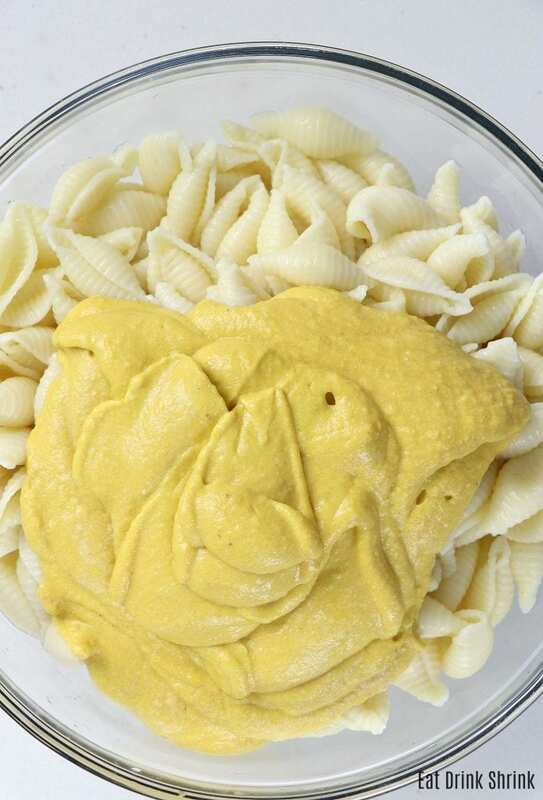 Toss the sauce with cooked pasta. Chop and massage kale with a tbsp of oil for 2 minutes to loosen the fibers. 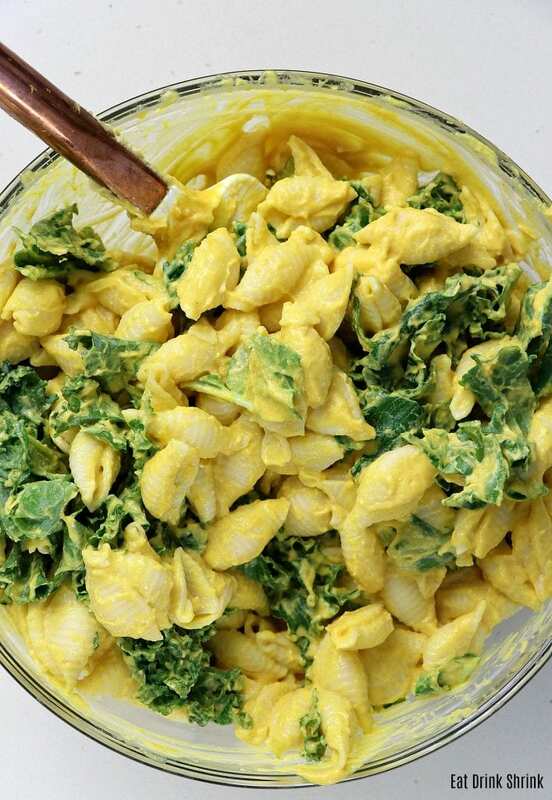 Throw in the chopped kale in and layer into a casserole dish. 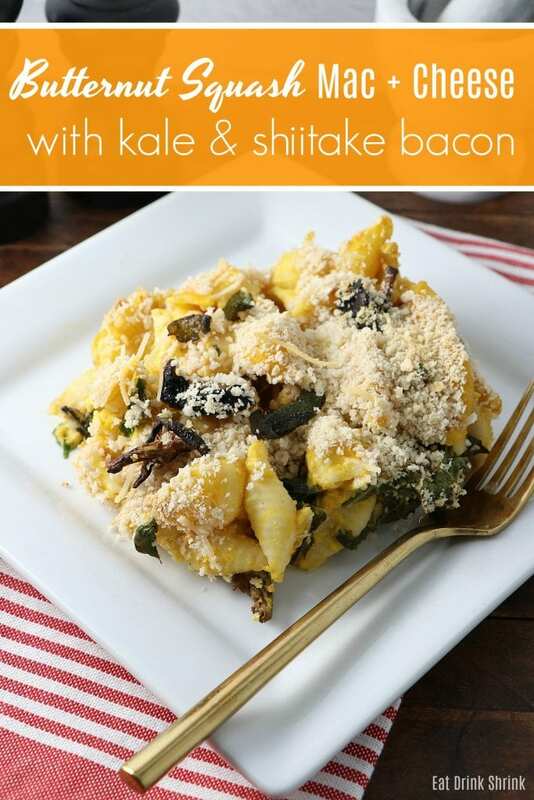 Top with additional sauce, shiitake bacon, vegan parm, bread crumbs, and bake for 15-20 mins. Top with crispy sage!